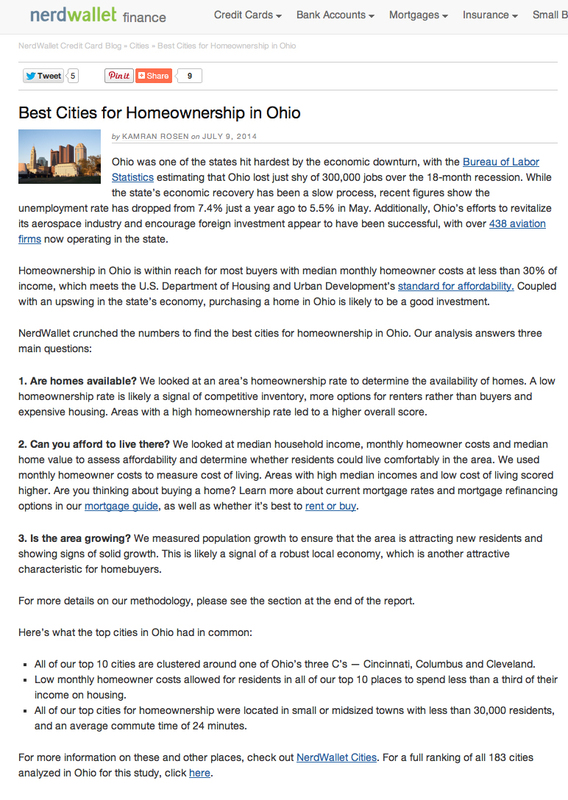 Rankings were based on high homeownership rates, high median incomes, low cost of living and signs of population growth. Residents of the above areas spend less than a third of their income on housing. Bridgetown was the second most-affordable area for owning a home. Mack had a 97.3% home ownership rate and median income of $82,800. Dent had the highest population growth with 82.% increase from 2010 to 2012. Trenton and the second-lowest monthly homeownership cost. See the analysis from NerdWallet.com here. This entry was posted in Buying A Home, Communities, Statistics and tagged best neighborhoods for homeownership, Bridgetown, Dent, Mack, Trenton by susanaknabe. Bookmark the permalink.